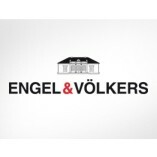 Established in 1977 in Hamburg, Engel & Völkers is the world leader in luxury real estate with 500 branded offices in 38 countries. Bringing together more than 3,800 employees... our unique network and approach ensure you the best possible outcome. Our unrivalled and international reach attracts prospective premium clients from not just London but all over the world. This is now particularly relevant to central London as foreign buyers and tenants from all across the globe continue to dominate the market. Our experienced team’s local knowledge, reliability and expertise ensure that you are in the best of the hands. So whether you are looking to buy, rent, sell or let your property look no further….